Thanks to Patricia E. Infanti, PP, PLS, NALS President 2010-2011, for taking the time to answer The Paralegal Mentor's Thirteen Questions! 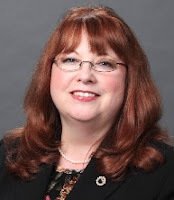 Patti was a terrific guest on this episode of The Paralegal Voice where she discussed the value of professional association membership with her and Kathleen Amirante, PP, PLS, NALS President Elect. 1. Where do you work and what is your job title? I am a Legal Administrative Assistant with Ballard Spahr LLP in Philadelphia. 2. What prompted you to choose a paralegal career? In essence, I have been doing paralegal duties for my entire 34 year career, though my title has been legal secretary for most of that time. I chose a legal career because I was intrigued by what happens in a law office, and I stayed because the work is challenging and stimulating - no two days are the same. 3. What is your favorite part of your job? I have two: interacting with clients and completing projects. 4. What professional associations do you belong to? NALS. . . the association for legal professionals, NALS of Pennsylvania, Philadelphia Legal Secretaries Association, and the Philadelphia Bar Association. 5. How has your membership benefited you? Without a doubt, NALS has supported me in my belief that the legal secretarial field is a viable and exciting career path. NALS has provided me with many avenues within which to further my education and professional development, including voluntary certification. 6. Do you have any professional certifications? Yes. I am a certified as a Professional Legal Secretary and as a Professional Paralegal. 7. What has been the highlight of your career? Without a doubt, passing the Professional Legal Secretary certification examination was a career-altering event for me. At that time, it was a two-day, seven-part examination, and it was empowering to receive the letter congratulating me for passing the exam. The second highlight was being installed as NALS 40th President in March 2010. 8. What do you see as hot trends in the paralegal industry? I believe you will see more and more paralegals being asked to do more administrative tasks as legal secretary numbers are reduced. (vi) that they must be willing to take on administrative tasks when asked to do so. 11. Is there a quote that inspires you? I have two: 'Can't' never did anything. 'Can't' never could. (I don't know exactly whose quote it is, but it seems that most mothers in my generation would utter this one in one form or another); and 'For nothing is impossible to God' Luke 1:37. 12. You've enjoyed a successful paralegal career. To what single event or person do you attribute that success? Mary E. Scarduzio, legal secretary and office manager to the founding partner of the first law firm I worked (Saverio R. Principato, Esquire), who had the patience to teach me what I needed to know to work in the legal field. 13. What is the most important step a paralegal can take to keep his or her career interesting? Do not rest on your laurels. Always seek to learn something new (including new legal practice areas) or to tackle a complex project. It will help you grow and hone your skills. What electronic device can you not live without? My Droid! Love it! If you had to be in any other profession other than a paralegal, what would it be? Personal coach. I would find it very rewarding to help others in their careers.